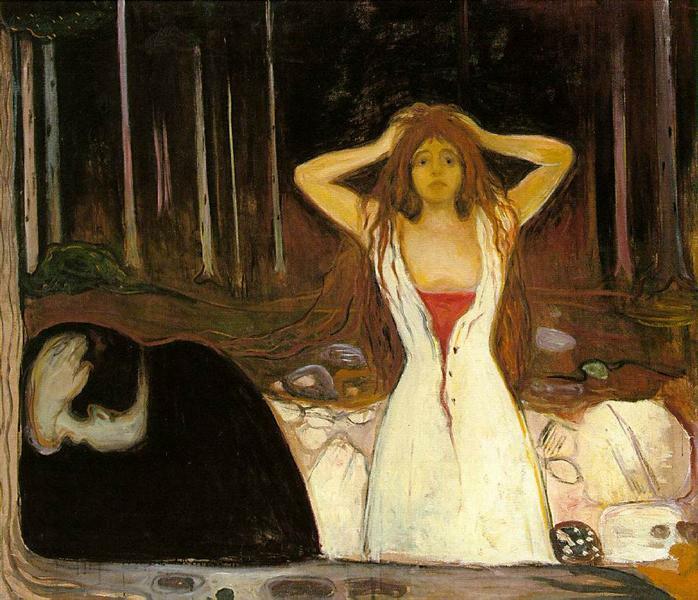 Anxiety (Norwegian: Angst) is an oil-on-canvas painting created by the expressionist artist Edvard Munch in 1894. 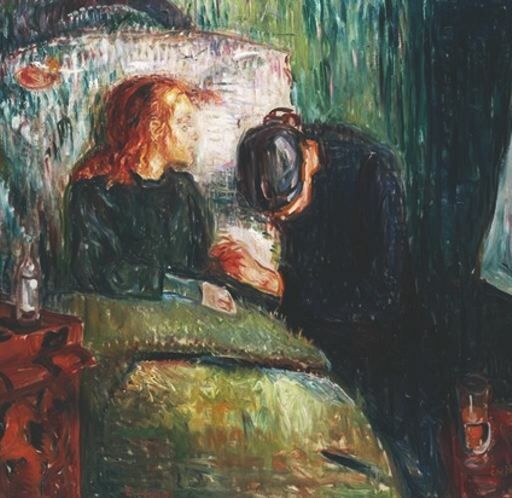 It's currently housed in Munch Museum in Oslo, Norway. 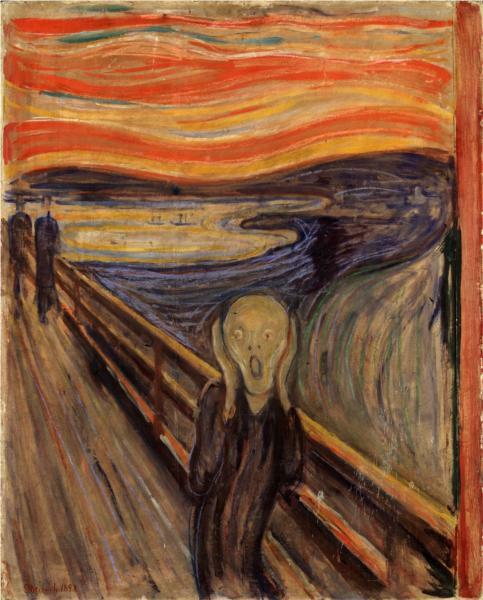 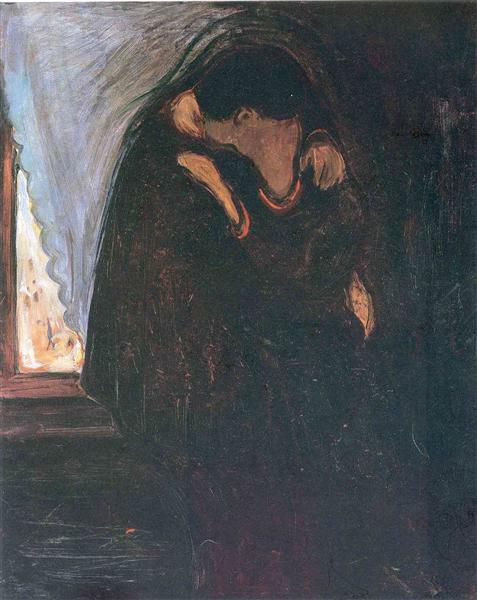 Many art critics feel that Anxiety is closely related to Munch’s more famous piece, The Scream. 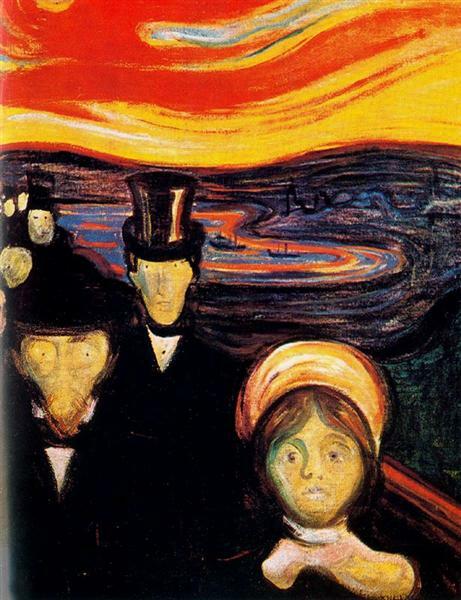 The faces show despair and the dark colors show a depressed state. 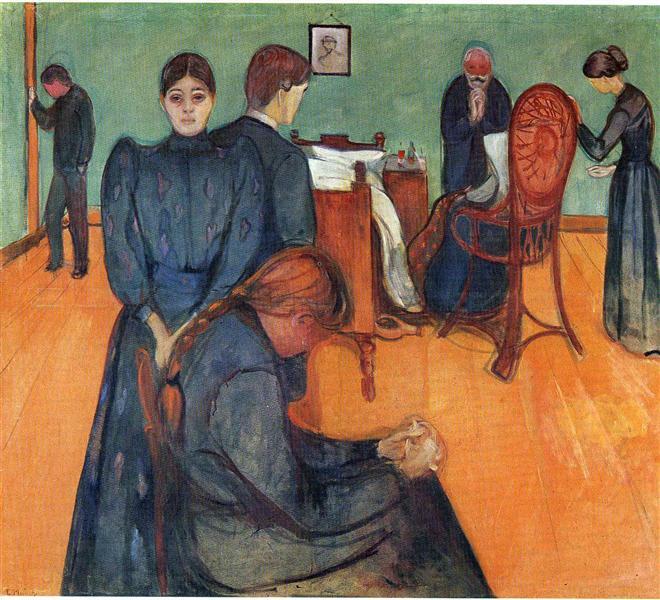 Many critics also believe it’s meant to show heartbreak and sorrow, which are common emotions all people feel.